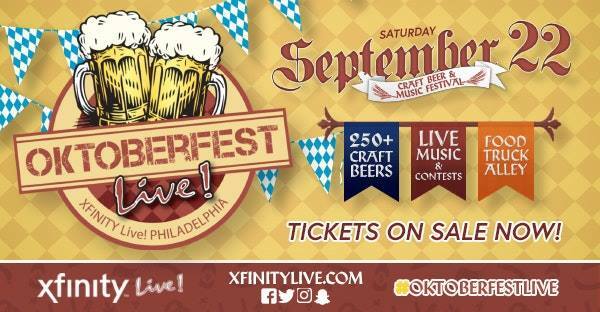 Oktoberfest Live!, rated Top 10 Oktoberfest’s in the country by USA Today, is back at Xfinity Live! on Saturday, September 22! Grab your GA and VIP tickets today before they’re gone!